Very often the first person you meet when entering our church will be one of our ushers. Ushers are the smiling and welcoming face of Ascension, and they are critical to making newcomers feel welcomed here. Ushers distribute bulletins on Sunday morning services and during special Holy Day services, they also take up the collection, direct people up for communion and count the number of people in attendance. 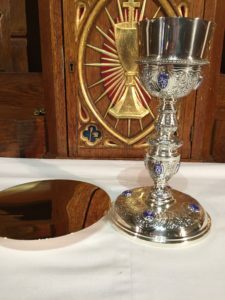 Our Lay Eucharistic Ministers assist at masses and other services with reading the lessons, offering the prayers of the people, and assisting with the chalice at communion. LEMs are given a guidebook and training on how to assist at the altar. Under the direction of organist and choirmaster Kenneth Dyer, Jr., our choir offers a wide range of Christian music to enrich our worship services. Our choir consists of 4 professional section leaders and over 20 volunteers that gather Thursday evenings from Labor Day to Father’s Day to rehearse the music that is offered on Sundays and Holy Days. To hear our choir check out our youtube page. The Altar Guild may work primarily behind the scenes, but their labor can be seen all around. 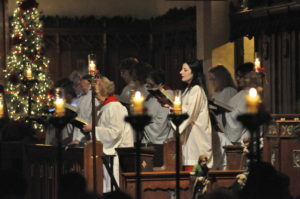 From the candles on the altar, to the vestments, the linens and the chalice, the altar guild manages, cleans and sets up all of the items we use in our regular worship. 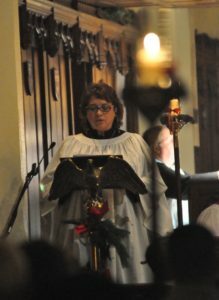 If you are interested in serving on the altar guild, please speak with Barbara Wen. An important part of our Christian Formation Program for our youth, is that our children are not only taught the Bible and Christian doctrine and history, they are also taught the importance of worship and how we worship here at Ascension. Sunday School children are encouraged as they come of age to join our team of acoltyes. 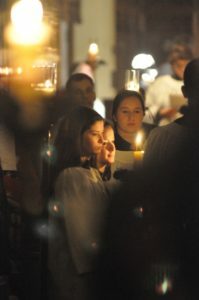 Beginning with carrying in torches and assisting at the altar, the acoltyes eventually move on to larger tasks such as serving as crucifer and thurifer. We often have a need for adults to serve in acoltye capacities as well (specifically as crucifer and thurifer). If you are interested in serving at the altar in this way, please speak with Father Kevin. 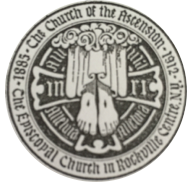 Other opportunities for service abound here at Ascension. Consider volunteering to help in our counting room on Sundays, participate in one of our outreach programs, or maybe offer some time working in the Shop at Ascension. However you feel called to serve, we appreciate all that our volunteers do to make this a vibrant church.